 The Seattle Central College's Health Education Center offers a variety of degree and certification programs to prepare you for high-demand careers. Whether you are new to the field or looking to advance your career, now is the perfect time to take the next step in your healthcare education. Why train for a healthcare career at Seattle Central? Ready to get started? Find a program that is right for you. Are you interested in a Physician Assistant Master’s Program? Our Community Health and Education and Respiratory Care applied bachelor’s degree tracks can help you meet the requirements to apply to the University of Washington (UW) School of Medicine's MEDEX Northwest Physicians Assistant training program. Read our news blog about Seattle Central's partnership with MEDEX Northwest. Visit the UW School of Medicine’s MEDEX Northwest website. For more about Seattle Central can help you become a Physician Assistant, please email AlliedHealthBAS.Central@seattlecolleges.edu.